One massive tournament flight, one Ring event and a satellite are on taps tomorrow for the third day of competition in the WSOP Circuit series here. 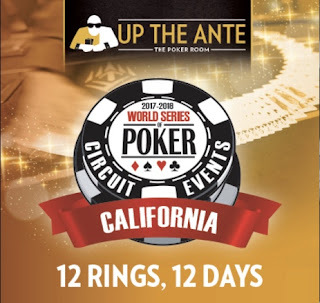 10am - $65 satellite - Winners receive a seat in to any $365 Ring event of their choice. 6pm - $365 Turbo single-day event, first Circuit Ring to be awarded. So ... what time are you getting here tomorrow?